September Degustabox plus HUGE DISCOUNT CODE! When my September Degustabox arrived, I couldn’t wait to rip it open and check out the contents. After my first box last month (review here), I had high hopes for this box and it certainly didn’t disappointment. Jam packed inside every Degustabox, are 10 to 15 new food items to try from existing and emerging brands, delivered to your door every month. The value of the contents inside each box always far surpasses the cost of the box itself which not only makes it great value for money but an affordable way to try out lots of new food products. Inside this month’s box was lots of sweet treats and more snack foods which I preferred. 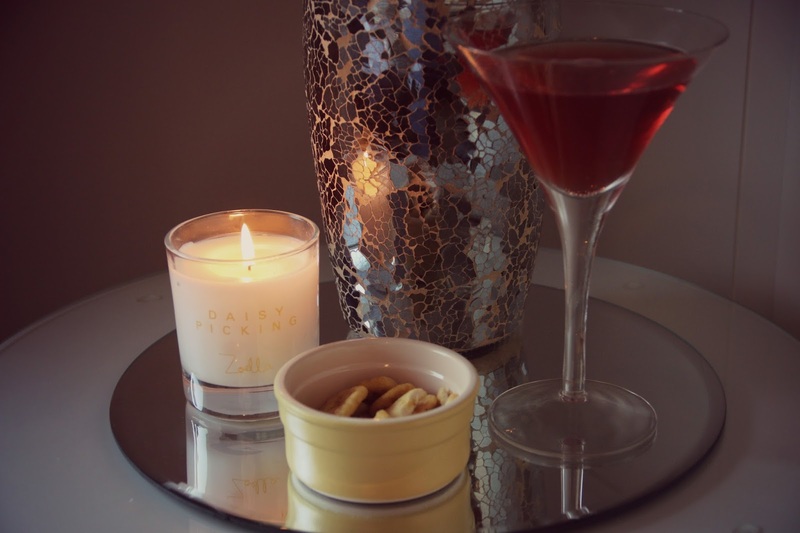 Its been great to snuggle up on an autumn evening and enjoy a drink with something sweet. My favourite item in this months box has to be the Metcalfe’s Skinny Milk Chocolate Coated Popcorn Thins (£1.00) which I’ve already bought more of! They’re a bit like a rice cake but made from popcorn which I much prefer the texture of and they’re smothered in a creamy, indulgent milk chocolate. They’re absolutely DELICIOUS and definitely hit the spot when you’ve got a craving for chocolate! Another favourite of mine has to be the Cape Drinks (2 x £1.59) which are sparkling drinks that combine antioxidant packed Rooibos Tea with fruit juices, vitamins, ginseng and natural botanical extracts. I received two in my box Passionfruit & Pineapple and Peach & Lychee both of which were sweet and fruity. The great thing about Cape Drinks is that they don’t contain any refined sugar and are made from only natural ingredients which I think comes across so well in their taste as they don’t taste artificial at all yet they are really sweet so you could be forgiven to think that they had added sugar in them! When my friend Sarah came round to watch a film this week, I poured us a glass of the Peach & Lychee flavour into a martini glass and it felt like we were enjoying a cocktail yet there wasn’t a drop of alcohol in sight! We enjoyed our Cape Drinks while munching on some Crunchy Banana chips from Emily Crisps (£1.75). This brand make healthy sweet treats that you can snack on without the guilt. The Crunchy Banana variety combine the goodness of just-picked, ripe bananas with the crunch of a crisp and they certainly pack a punch. If you have a sweet craving, these are perfect because they’re VERY sweet, too sweet to eat a whole pack in one go in my opinion so they’re ideal for sharing like we did. Emily Crisps are available from Ocado, Waitrose, Whole Foods Market, Selfridges and Holland and Barrett. All of their fruit crisps count as 1 of your 5 a day, they’re all low in fat, gluten free and vegan, they have no added sugar, no additives and no preservatives and are kosher and halal certified. Now thats pretty amazing! Another snack style item that we shared that night were the Say YES to No Bread Chips (£1.49) in the Gouda Cheese flavour. These weren’t to my taste, although I didn’t expect them to be as I’m really not a fan of cheesy flavoured crisps, crackers, etc. Sarah however, thought that they were delicious, especially when dipped into salsa. They’re a bit thicker than crisps, with a great crunch to them and lots of flavour. Say YES to no are all about excluding artificial flavouring and unappetising additives from their products. They’re not full of empty promises and don’t use photoshopped images and phony advertising so you know exactly what you’re getting from them. Something that I’m really starting to notice about Degustabox is that they’re really big on including food products that don’t contain loads of nasties. The Get Fruity Bars (£1.00) are a great example of this. They’re an award winning, 100% natural fruit and oat bar brand. Each bar contains a high percentage of the fruit thats named on the packet which makes them authentically fruity! There are six different flavours and I received the Marvellous Mango one which was packed full of flavour but not too sweet. All Get Fruity Bars contain gluten free oats and virgin coconut oil with no added refined sugars. They’re made on a nut free site too so if you’re someone who has a strong nut allergy then you can rest assured that you’ll be fine with this brand! Another addition to the box that’s great for those with allergies is the Mrs Crimble’s Fusilli (1.99). If you’re allergic or sensitive to gluten then you’ll be pleased to find out that this pasta is made from gluten free corn fusilli pasta. It has a delicious gourmet mushroom and cream sauce which tastes creamy without being too heavy or over indulgent. The serving is perfect as a meal for one person or as a side dish if sharing between two. I found that it was really quick and easy to make and so delicious when served along side a chicken breast and a couple of bits of broccoli. Quick to make products like this pasta are ideal for me when I’ve been working all day. I’ve started steaming several chicken breasts and some broccoli in one go and then storing them in the fridge so that I can pull one out and make a tasty meal at a moments notice. I did the same thing last week with some chicken and broccoli and made a tomato and Borlotti Bean stew to go on the side and it was delicious. I used one of the three tins of Cirio Borlotti Beans (£1.89 for a pack of 3) that came in the box and in all honesty, I didn’t really know what I was doing but it tasted delicious! I heated them with some chopped tomatoes, chilli flakes, paprika and some garlic to create a really affordable, quick and easy side dish. I think this may have been my first time having borlotti beans, or at least it was my first time making them myself. These ones are picked, fresh-shelled and then quickly steam cooked in the can which preserves their tender texture and creates an intense flavour. They’re a great ingredient to add to a healthy, balanced diet as they contain dietary fibre, vitamins, vegetable proteins and carbohydrates. After dinner, I’ve often been enjoying a pot of the Hartley’s No Added Sugar Jelly Pots (4 x 50p), 4 of which came in the box in various different fruity flavours. I’ve been enjoying these for years as they’re a low calorie, sweet treat thats great for a light dessert or as an accompaniment to a packed lunch. 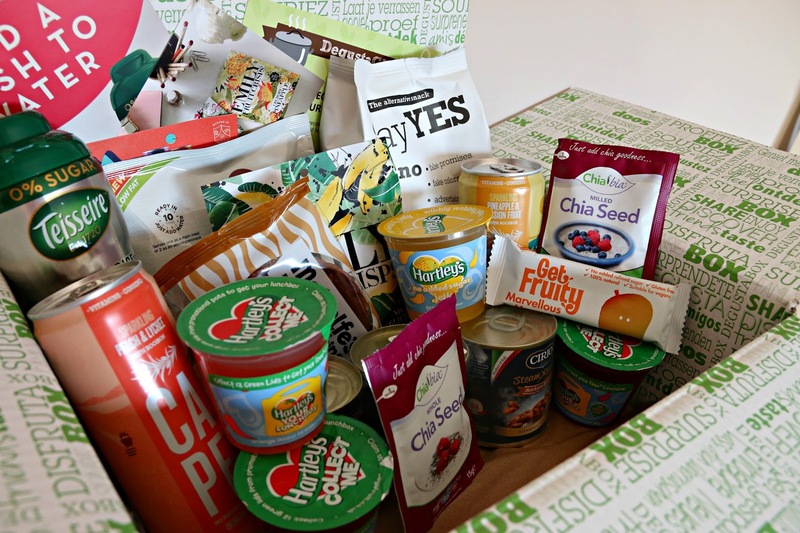 If you love sweet things but don’t want to consume too much sugar then this months Degustabox really has been fabulous as so many of the products don’t contain added sugar! The Teisseire Sirop (£2.99) in the Cranberry and Raspberry flavour that came in the box is something that we’re still working our way through in our house because a little goes a long with. This is a flavouring that you can add to either still or sparkling water as a way to add flavour without adding any sugar. The raspberry and cranberry flavour is fruity, fresh and gives plain tasting water a great twist! I’d actually love to try it as part of a cocktail! Teisseire Sirop is also available in Pink Grapefruit, Lemon and Grenadine flavours. The last item in the box that I tried out where the Chia Bia Whole & Milled Chia Seed Sachets (2 x £1) which are made up of tiny black and white chia seeds that you can add to foods to boost its nutritional content. They’re packed full of Omega 3 and Fibre and are a great source of Protein, Vitamins and Minerals. I’ve only used one of the packets so far in a strawberry smoothie and they added a really subtle flavour. If you want to snuggle up and enjoy the contents of this Degustabox then there’s still time. At only £12.99 with free shipping, Degustabox is an affordable way to try out so many new food items. You’re not tied into a contract and can cancel at any time; although with such great boxes, I can’t see you ever wanting to! If you have any foodie friends or family, you can even give a Degustabox as a gift through the website with the option of boxes for 1, 3 or 6 months. That’s Christmas sorted! I have a discount code for you all so that you can try out Degustabox for ONLY £5.99; just enter 88AHT to receive a whopping £7 off your first box!! Sign up here for your Degustabox or give as a gift here. Which item would you love to try out the most? Previous Post What do you hate about shopping? 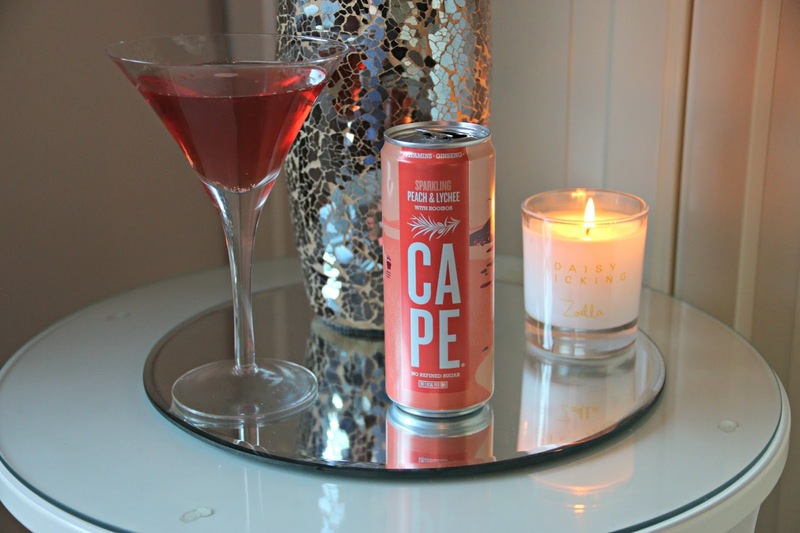 The Cape drinks sound really lovely and refreshing! And I'm utterly intrigued by the popcorn thins, what an interesting idea. I've always been jealous of people subscribed to Degustabox as I think it's great to get a box of goodies delivered every month! I would love a Degusta box, it looks super tasty and I love the look of the Cape Drinks. I bet they are really refreshing as well! 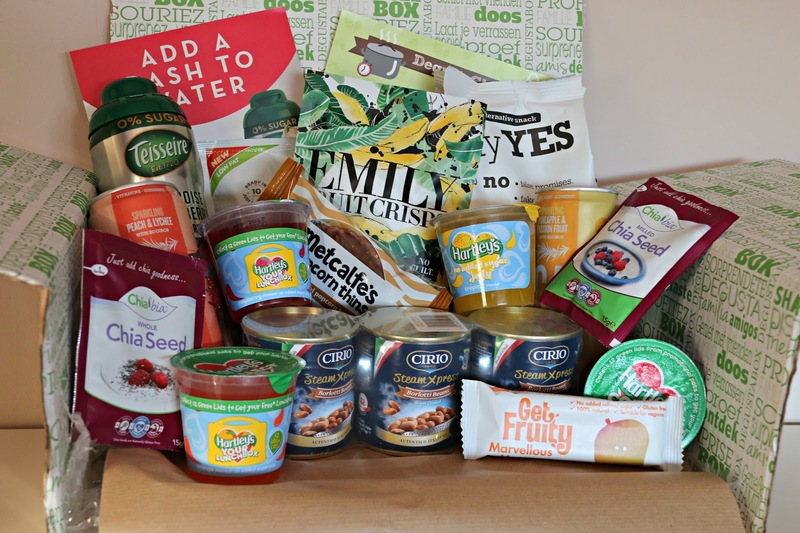 I loved this months box and think my favourite was either the fruit crisps or the popcorn thins! Wow this is a great box. I have tried the gluten free pasta in sauce before! I've heard such good things about this 'Degusta Box' but never tried it myself. Definelty need to give it a go, looks brilliant. I used to have degustabox they always have such a great variety in them. It looks like a good box this month. I love all the Cirio products! Fab items here. I would love to try the Cape drinks. You got some real good goodies in your box this month!! I love the metcalfe brand! I'm completely impressed! They REALLY packed that full of a great assortment of products, all of them yummy! I do think this is a good way to try new brands and flavours, quite affordable too. The cape drinks look really nice. It looks like a good mix of items in here! This month's degustabox looks so good! There's so much in it! Lots of snacks which is what I love! Those popcorn thins are definitely something I want to try! Ooh, I didn't know that Cirio had started doing Borlotti Beans. Gotta try those. Yum. My goodness they seem to have loads in that box what a large mix of items. Great box!! I have read a few posts about this subscription box and they always send really good products with a wide variety of yummy foods. Thanks for sharing your box!! This looks like such a great box, full of lots of variety! I'mso interested in trying out this degustabox! I keep seeing it and it looks so fun! Yum! I have such a love/hate relationship with Degustaboz. I like the element of surprise (and you always get some yummy items) but sometimes I feel they can be quite repetitive. Looks like a great box this month, plenty of things the entire family would eat. Wow what a full box! I love the chocolate popcorn thins! My favourite! !